April 14, 2016 – University of Central Florida physics professor Dan Britt has been named to the New Horizons mission team as the spacecraft heads to the Kuiper Belt. He’s also just landed a grant to help create fake asteroid material, which will help NASA and private companies prepare the technology needed to mine asteroids and eventually other planets. Britt joins the team responsible for sending New Horizons to Pluto and which made headlines last year when it unveiled the first pictures of Pluto’s surface. Mountain ranges and perhaps even oceans under its frozen surface have been recorded by the spacecraft. 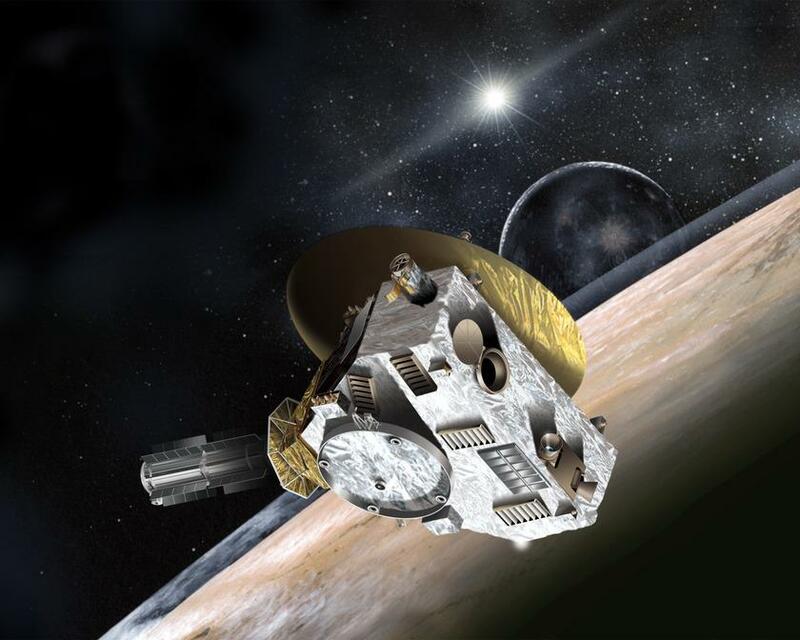 The non-manned spacecraft, which launched in 2006 from the Cape Canaveral Air Force Station, reached Pluto in July. The spacecraft exceeded expectations and now NASA is looking to extend the mission, sending the probe to the Kuiper Belt — the first such opportunity to get a close look at this region of space. The Kuiper Belt is a disk shaped region of the solar system past Neptune’s orbit, which is home to comets, asteroids and other objects largely made of ice. Britt will work with lead scientist Alan Stern on the geology of the Kuiper Belt objects New Horizons encounters. Stern is based at the Southwest Research Institute and has served as a consultant on several projects with UCF. He also served as interim director of the Florida Space Institute, which is based at UCF. It’s that expertise that also landed Britt a grant to work with Deep Space Industries, an asteroid-mining company that is working to develop technical resources, capabilities and the “integration required to prospect for, harvest, process, manufacture and market in-space resources,” according to its website. Britt will lead the development of different kinds of asteroid stimulants. Think of the difference between real snow and manufactured snow. Britt will create the manufactured asteroid material that NASA and private companies will use as they develop mining technology. Asteroids are seen as a key resource to traveling beyond the moon because with the proper development, they could provide fueling stations for long voyages.